The Days of Johann, an agility dog! : Keeping Gracie flexible with #NaturalStride! Keeping Gracie flexible with #NaturalStride! 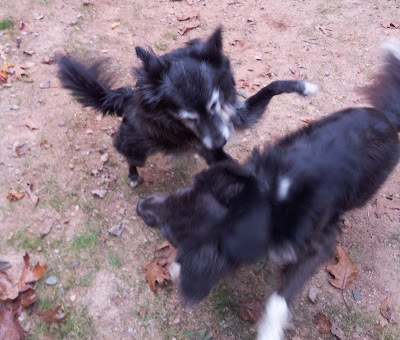 Even though Gracie and I are 8 and 9 years old now, we are still very active! Thanks to Mum finding us supplements that keep our joints and muscles working their best. 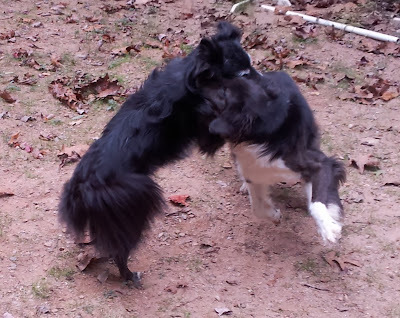 When we aren't playing agility in the yard, or competing, or hiking, Gracie and I love to run around our cabin, wrestle and generally have a great time together. And then a great zoomie session which usually ends in Gracie wearing out before I do, BOL!!! Mum has had us on supplements for a long time. Maybe it's the fact that we're so active, maybe it's the fact that Mum has kept our weight at the same point from the time we reached adulthood, or maybe it's the fact that we've been taking joint supplements, probiotics, fish oils, protolytic enzymes and more to keep us feeling our best. But we sometimes act like we're two years old! 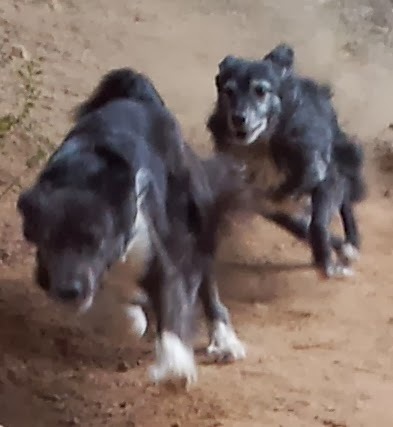 BTW - Mum loves seeing us so active in our formative years, and wishes she felt as great as we do! Guess I'll have to help her work on that. Some days we are a little shower, some days we take a second or two more to get up. But most days we are raring to go! Gracie has been trying out a new product lately from Natural Stride. First she was on their Hip and Joint Powder, and just recently they sent us their new Hip and Joint Chews to try out. Both of them Gracie loved tasting and really didn't have a preference. She's not a picky girl. The chews contain all the same great ingredients that the powder does including, all natural forms of cetyl myristoleate, glucosamine hcl, glucosamine sulfate, msm, omega 3 from fish oil, vitamin c from ascorbic acid, yucca and hyaluronic acid. And the chews are available in both regular strength and veterinary strength. We like them! If you'd like to try out Natural Strides products they are offering a 20% discount off any order through 3/31/14 on any dog, equine or human product! Just use code JOHANN20 at checkout. And they have a 60 Day Money Back Guarantee if you are not completely satisfied! 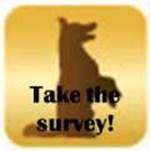 In addition, they would love if you could take a super quick (took us about one minute) survey to share info and important items to you involving joint supplements. Just click on the image to the right, or here, and feel free to share the survey with your friends and family if you'd like! 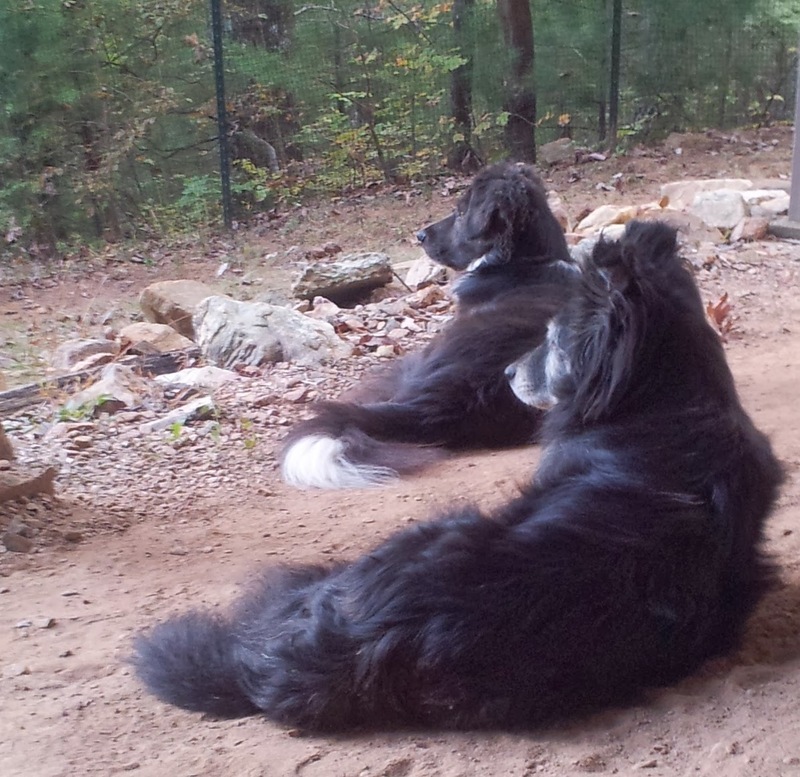 "This post is sponsored by Natural Solutions for Life on behalf of the BlogPaws Blogger Network. I am being compensated for helping spread the word about Natural Solutions for Life's Natural Stride Supplement, but you know that I only share information I feel is relevant to my wonderful readers. Diamond Naturals is not responsible for the content of this article." Thanks for letting us know about this, Johann and Gracie. We'll be checking it out! Hi, Johann. I did the survey, but I don't think the products are yet available in Australia. I'll keep my eyes open for them, though. You are welcome Mitch and Molly!!! And thanks Penny's Mum for taking the survey! I'll check and see if they are available in AUS and let you know!